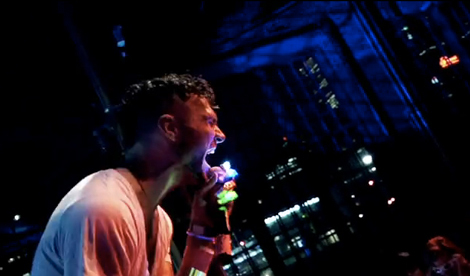 Rich Aucoin performing “”At War With the Cynics” and “Behold the Lamb” at Steamwhistle’s Indie Night on Saturday (filmed by Mitch at Southern Souls). Amazing show. I keep saying it (and I’ll keep saying it), if you haven’t seen Rich Aucoin live yet, he’s one of the most entertaining live shows I’ve seen in years. Great fun. Also, I was really glad to see Young Empires for the first time. They had the crowd going, especially by the third song in White Doves. Here’s the video, which is 2 months old but I don’t think I ever posted it?